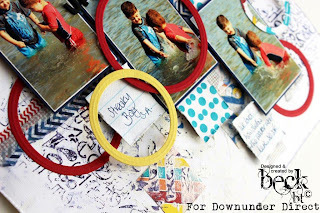 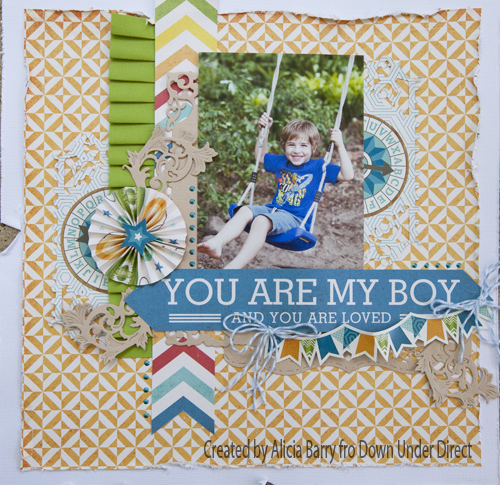 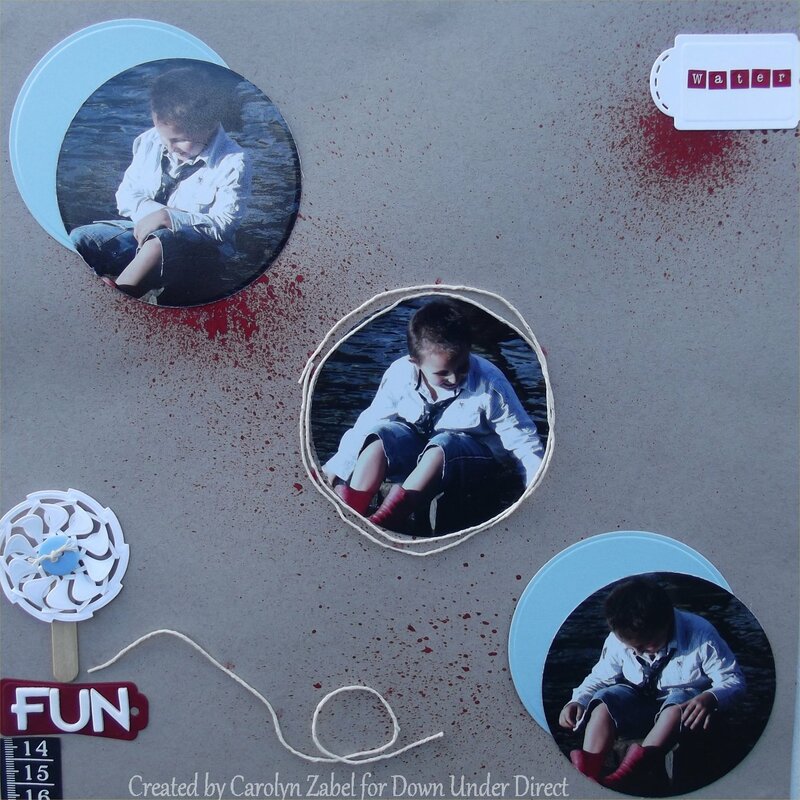 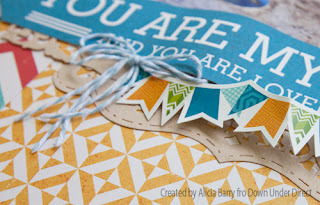 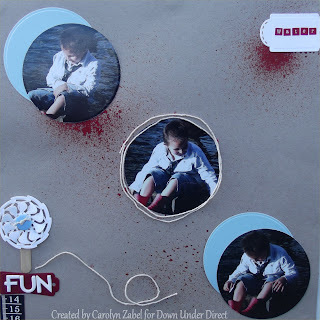 Today we have a fun and bright boy layout to share with you. 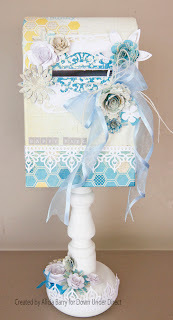 This is our second post today. 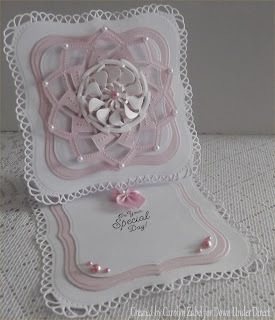 Please scroll down for another fabulous card from Teresa. 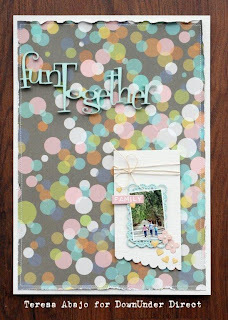 This turned out to be a quick and easy card. 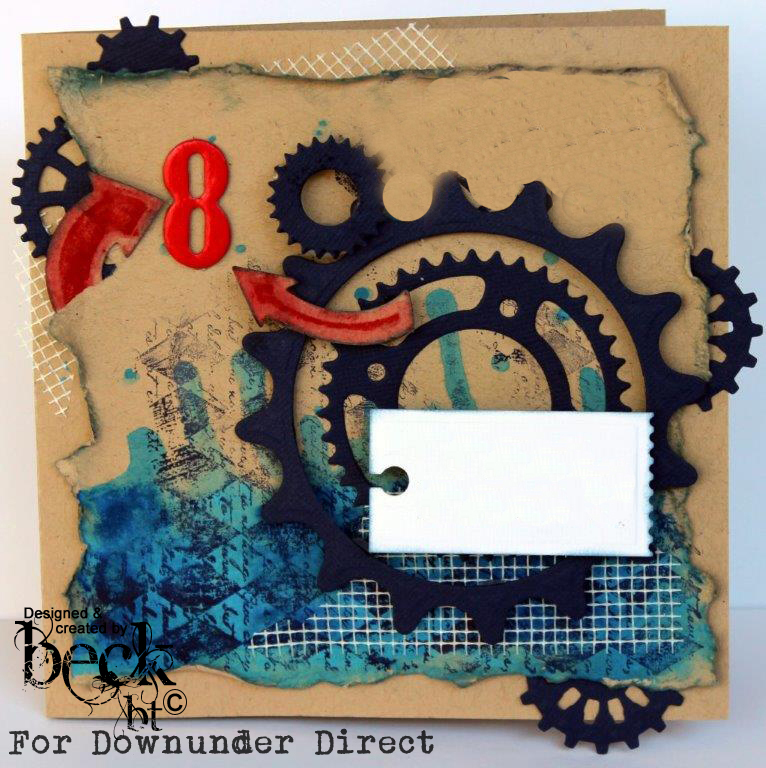 The trick was finding a die big enough to cut an entire edge of a cardfront. I used the pattern already printed on the paper to be another decorative feature, making this card just about unisex. 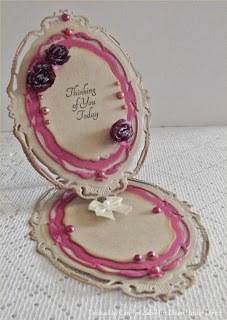 What better way to show off a girly layout than to showcase some of the lovely Spellbinders flower dies. 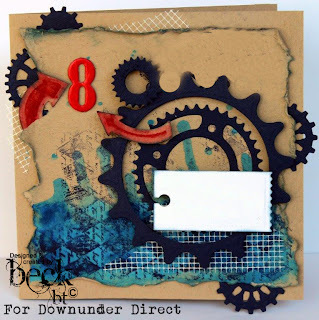 I love how the harlequin background stamp really compliments the spritely sprockets in this male card. The tickets as well add a nice neutral element. 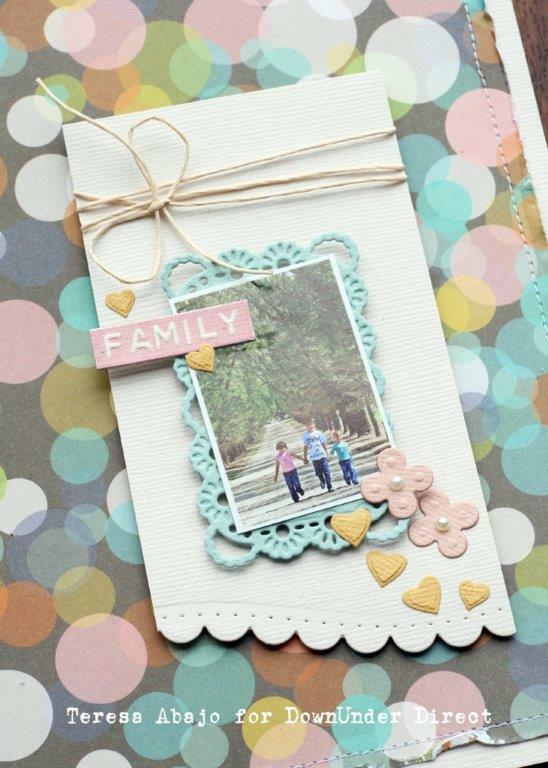 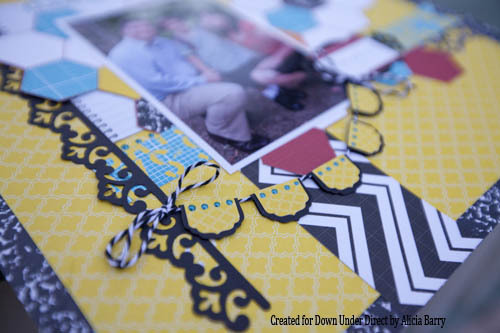 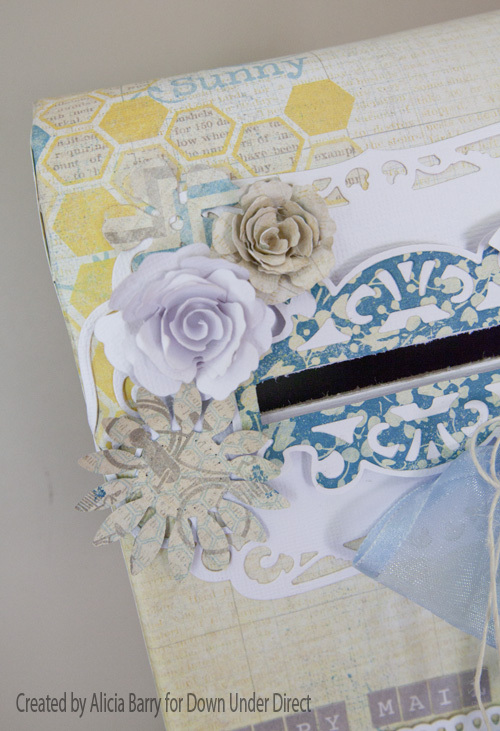 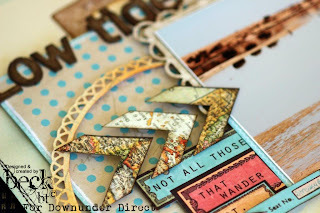 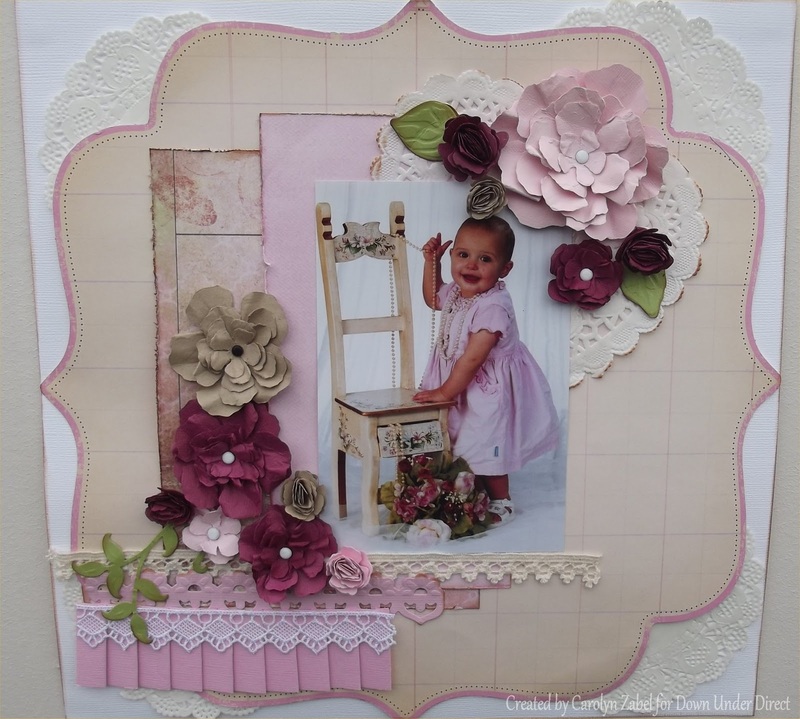 Easel cards are so easy to create using Spellbinder dies. 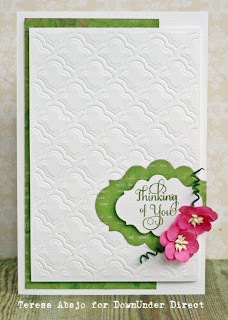 Giving your embossing a touch of gesso, can really Shabby it up and create a beautiful elegant feel. 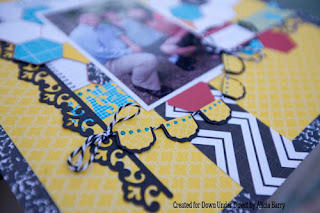 In this post, I'd like to show you how I used one die two different ways - to cut, and then to emboss. 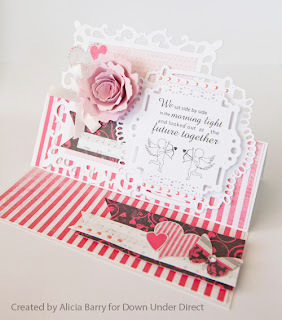 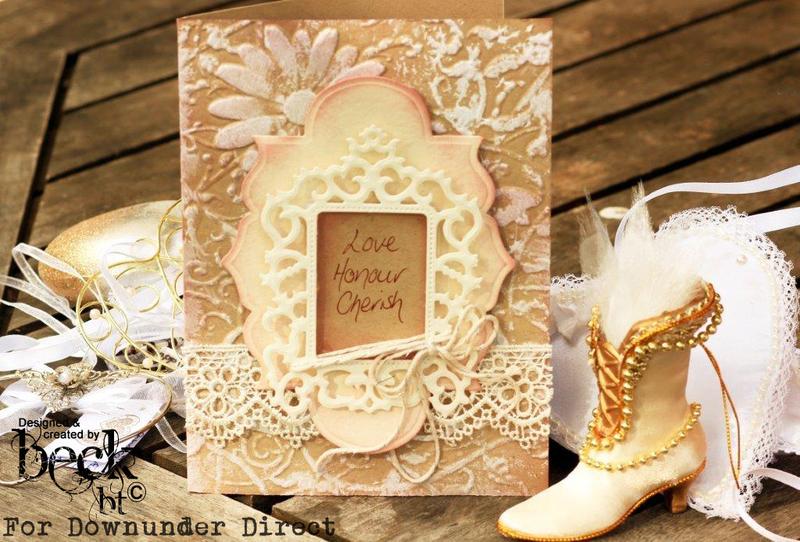 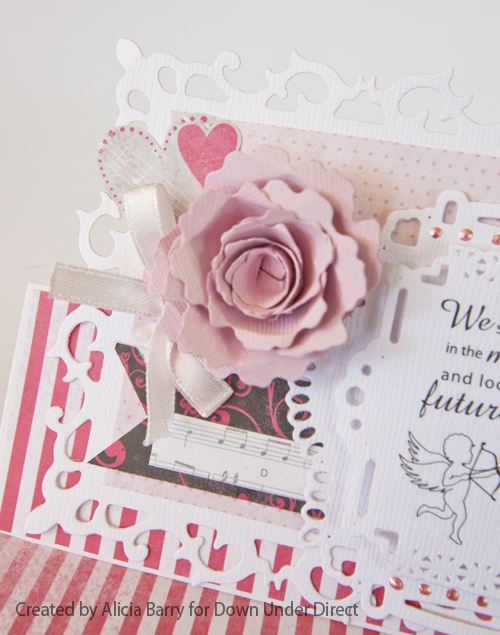 Love is in the air with this pretty love inspired card. 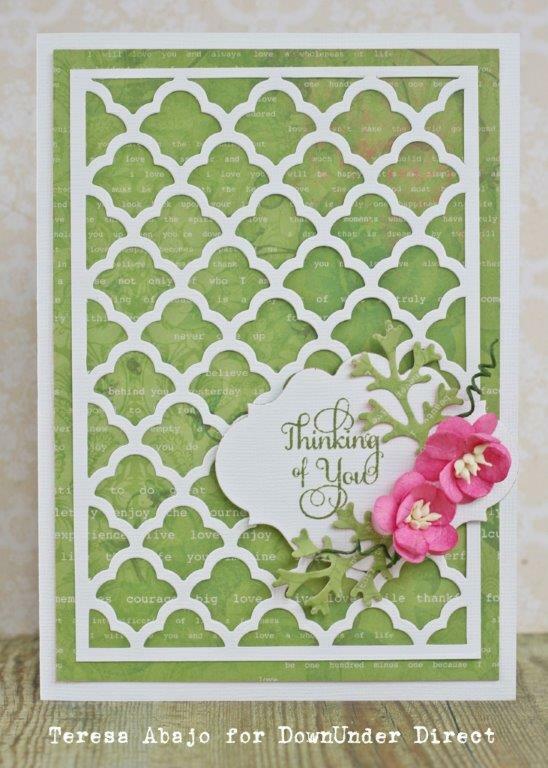 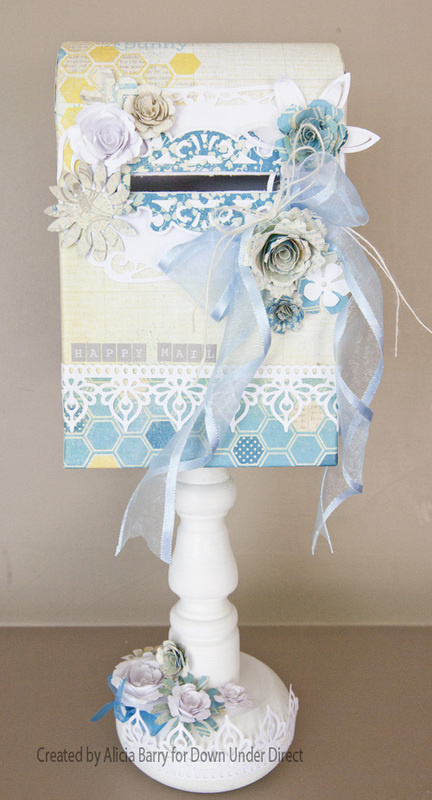 Die D- lites window makes a wonderful focal point for a card. 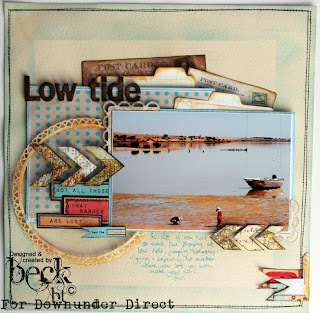 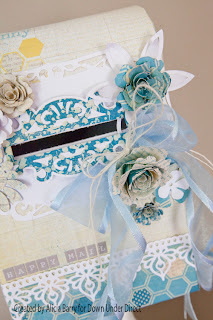 "Try using your Embossing folders in a different way, I used one here as a stamp to create more interest in the background of this layout." 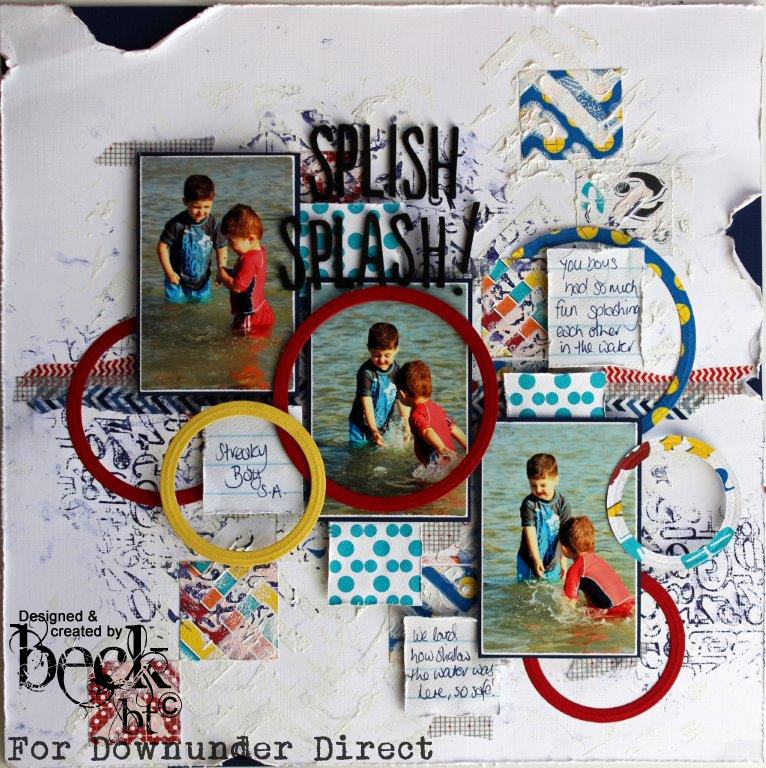 Choose a set of spellbinder dies that will give you a nice sized shape to work with. 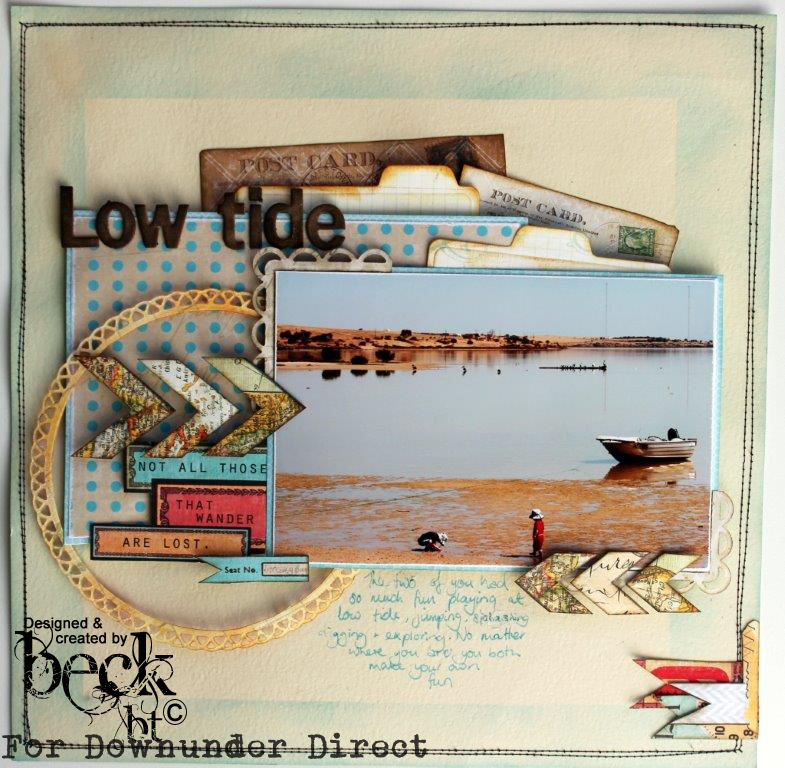 I used 3 different sizes ranging from the largest, second largest down to the third largest. 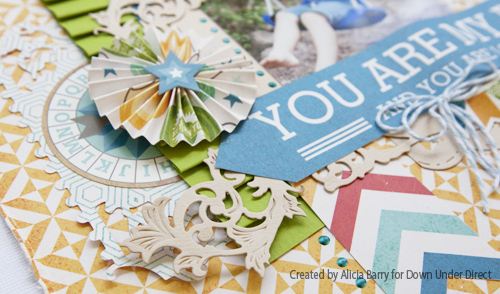 Fold your piece of cardstock in half. 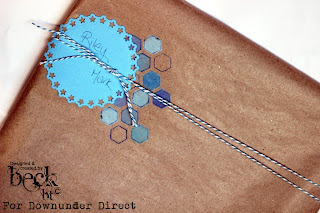 Place your die under your folded cardstock with the folded edge to the top. 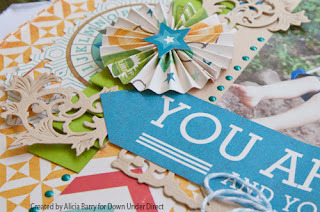 Place your die so the top part is out from under your cardstock as shown in diagram, this ensures your 2 pieces will remain joined. 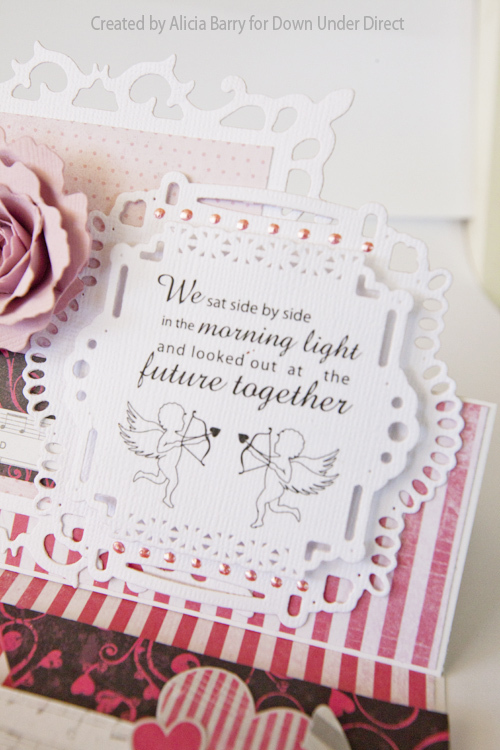 Once you have cut the main card and embossed. 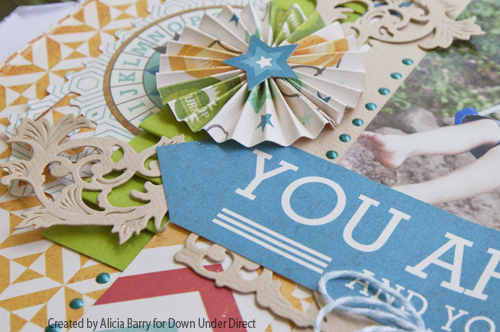 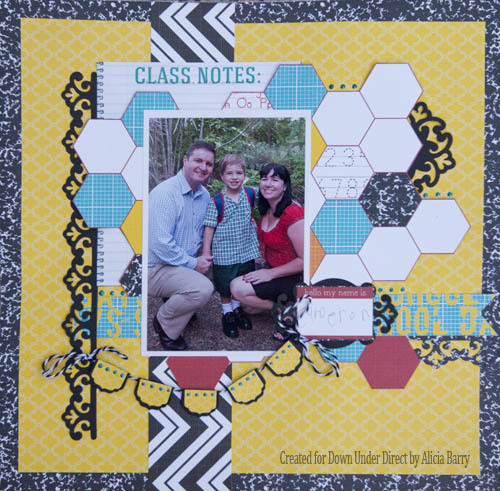 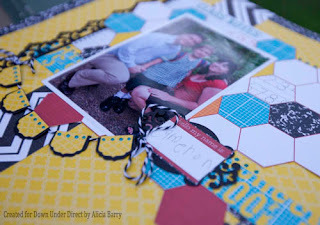 Cut just one shape from your die the same size with 1 piece of unfolded cardstock. Once again emboss. Using your next 2 sized dies and your choice of colours cut 2 of each size one being for the top and one for the bottom and emboss. Now go back to the first piece we cut and choose which side you want to be your right side whether it be embossed or de-bossed and fold the top half in half towards you. When positioned up this will become your easel to position the top of your card. Add adhesive tape or glue to the half you have folded down and adhere your 1st single shape you cut to this then layer the shapes you cut alternatively. 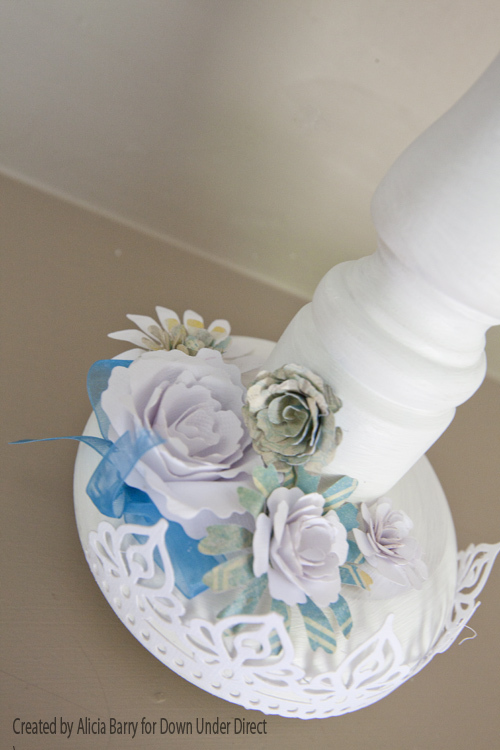 Embellish to your hearts desire. 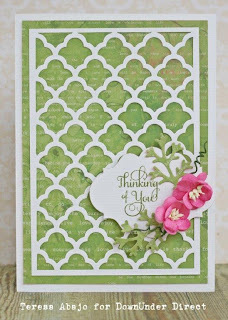 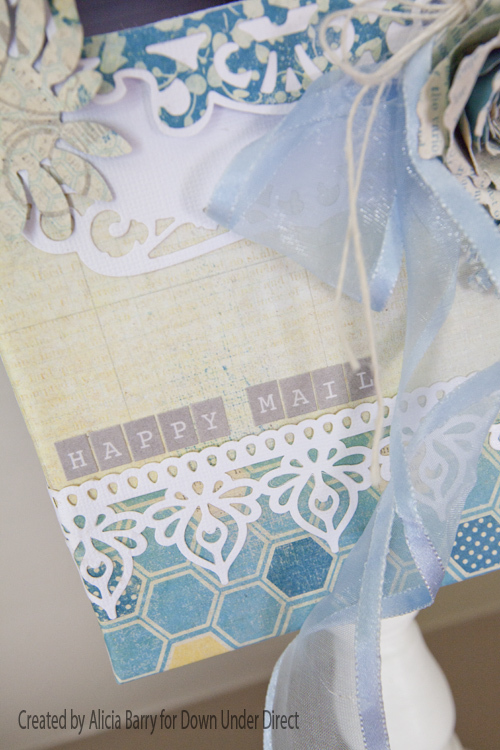 TIP: I do my stamping before I adhere the final die cut to the card and embellish once it is altogether.